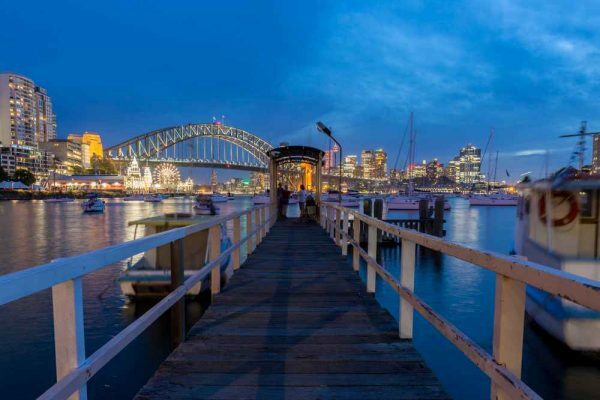 Sydney’s reputation as one of the world’s most iconic waterfronts is well deserved and if you are visiting the harbour city and your budget will allow a bit of a splurge consider a night or two in a harbour front hotel. It is a worthwhile treat that you are unlikely to regret and bound to become a cherished memory. Today I am looking at 5-star hotel rooms with a view of Sydney Harbour. Some of these hotels have views of the Opera House and others views of the Sydney Harbour Bridge; some have both! All are perfect locations if you are visiting Sydney for New Year’s Eve or the Vivid Light Festival. Several hotels that stand tall overlooking the Sydney Harbour Bridge and the Opera House so choosing which one to book is not an easy decision. I have not been lucky enough to have stayed in all of these although I have toured each of them. Because of this, I have decided not to present a top 10, but instead, I will give you my pros and cons of each and let you choose. If you are looking for the best hotel views in Sydney, then I am sure you will be happy with one of these. A word of warning… This city has a consistently high hotel occupancy rate (over 80%) so grabbing a bargain hotel room in Sydney with a harbour view is not easy. If you come across one or have points from a rewards program, I suggest you grab it quickly. This article contains affiliate links. That means we may earn a small commission when you use the links on this site. You will pay nothing extra for this, but you will be helping us to continue posting helpful articles for your travelling planning needs. Check our Disclaimer for more information. The five-star Park Hyatt is Sydney’s most expensive hotel. It boasts 12 different room types, a dress circle location and some of the best harbour views in the city with many rooms overlooking the Opera House. We booked a colleague in here for their wedding night, and I managed to sneak a peek at the room, it was stunning. 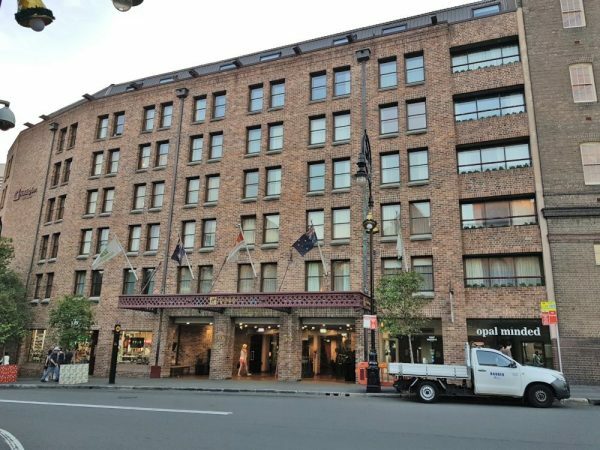 This is a great hotel if you are planning a visit to Sydney for New Year’s Eve or for the Vivid Festival as you will have front row seats for all the action meaning you can avoid the crowds and just sit back and watch the show. The room top pool has to have one of the best views in the world. The Shangri-La is pure 5-star luxury. All the main tourist attractions are right outside your room and the train station only a few minutes walk away. We had a stay-cation anniversary here and loved it. The rooms are a good size, and our bed was super comfortable. Book early – if you can not get a room with an Opera House or Harbour Bridge view then I think it’s a bit pricey for a regular room although apparently, the view over Darling Harbour is also lovely. Beyond the rooms, Bar Blu and Altitude restaurant are fantastic, perfect for a special occasion meal or drink. The hotel also has good business facilities for working trips. If you can manage a splurge in the hotel’s spa, you will not be disappointed. I felt like I had gone to heaven! Check TripAdvisor for the latest reviews. Check out their facebook page for lots of great photos. Pros: Amazing views from the harbour facing rooms. Excellent service and staff. Great buffet and restaurants. The Intercontinental is where Oprah housed her entourage on her visit in 2010. Amazing views of Sydney Harbour with the bonus of being 2 minutes’ walk to the Royal Botanic Gardens make this a great choice for anyone who loves to walk. The hotel has an indoor pool, it’s a reasonable size and has a great view of the Harbour. It is only 5 minutes to the Pitt Street Mall shopping precinct, and Sydney Bus run right outside. 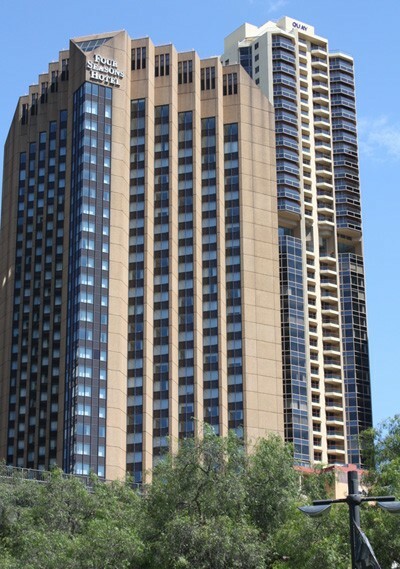 From the Macquarie Street entrance, the hotel looks pretty grand, but the back entrance is more like an office building. 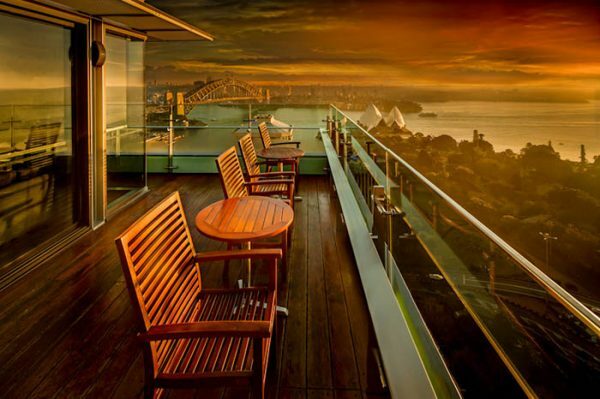 King Opera House rooms are an excellent choice for jaw-dropping views if you win the lottery book the Australia Suite! 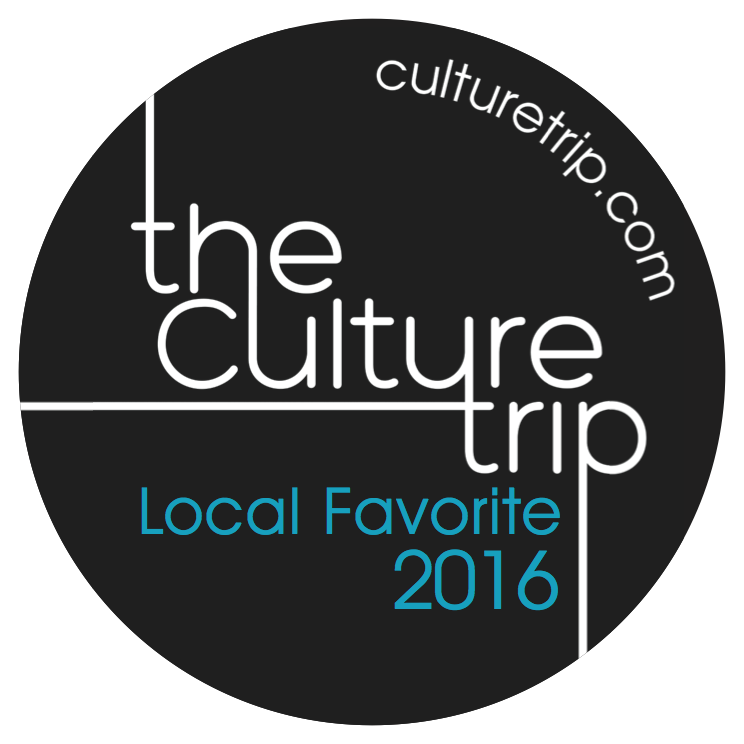 Check the TripAdvisor reviews and see what others think. Pros: Room quality is as good as many of the pricier hotels, particularly those on the high floors. Make sure you visit the new rooftop bar. Cons: Not all rooms have an unobstructed view so make sure you request one. The Four Seasons refurbished their 530 rooms last year, but the outside and public areas still need some work in my opinion. The rooms themselves are nice with quality fittings and amazing views of Sydney Harbour. Of the three rooms types, I would only stay here if I could get a Harbour or Opera view room. Without the view, I think there are better choices than this. Check the TripAdvisor reviews and see what others think. You can follow their Twitter feed orFacebook page for updates too. Pros: This property has the best location and really comfortable beds, a heated outdoor pool and good food. Cons: Some of the standard rooms are a little small. Quay Grand is a great option. It’s an apartment hotel, which I admit is my favourite style, and offers 1 and two bedroom suites. When development was first proposed here, Sydneysiders were up in arms about the ugly “toaster” style building destroying the view of the Botanic Gardens, and I agreed. Several years on I think it really revitalised this area. Locals still refer to the buildings along East Circular Quay that house many cafes, shops and restaurants as the “toaster” but not as many of us are negative about it now. Rooms here are expensive – even on sale the one bedroom suites are $499, but they do give you space, a view and a location right in the middle of the action. They also often host celebs so who knows who you may bump into in the lobby! The rooms are also double glazed, so noise is not a problem. The pool on level 7 has great views over the harbour. If you are trying to save some money consider a garden view, these are also very beautiful, and there are plenty of public areas to take in the waterside view. Check the reviews on TripAdvisor, and you can find a bunch of photos of the various room views. Cons: the views from some rooms can be obstructed so keep this in mind when booking. Pros: Flat walk to the harbour in just 2 minutes. Have facilities for you to use if your room is not ready. Cons: The lifts can be a bit slow at times and service can get patchy in peak periods. Cons: Rooms could do with updating the beds are fine, but the rooms look a little basic. Pros: Dog-friendly suites, short walk to Barangaroo, beautiful furnishings. Cons: At least a 10-minute walk to public transport which can make getting back to the hotel after sightseeing a little tiring. Can be noisy on weekends due to events in the function spaces. Rooms without balconies can be small. 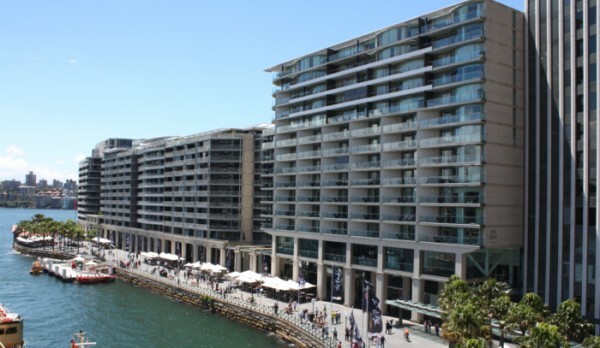 Located at the McMahons Point wharf these apartments offer an outdoor pool, BBQ area and laundry facilities. One- and two-bedroom apartments older style with kitchen facilities. Lovely location with the famous Wendy’s Secret Garden is just next door. This property is perfect for NYE or Vivid Light Festival. 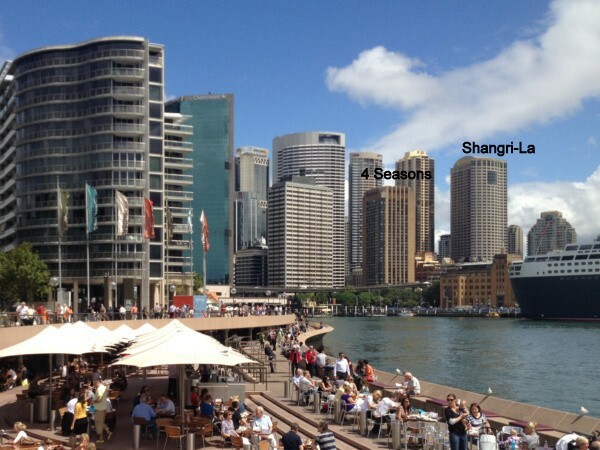 The ferry to Circular Quay is only 2 minutes’ walk away. Cons: No air conditioning, although ceiling fans in some rooms, not all rooms appear to have been refurbished and are very dated. Wi-Fi not always included so check before booking if this is important to you. Location: Henry Lawson Ave, McMahons Point. 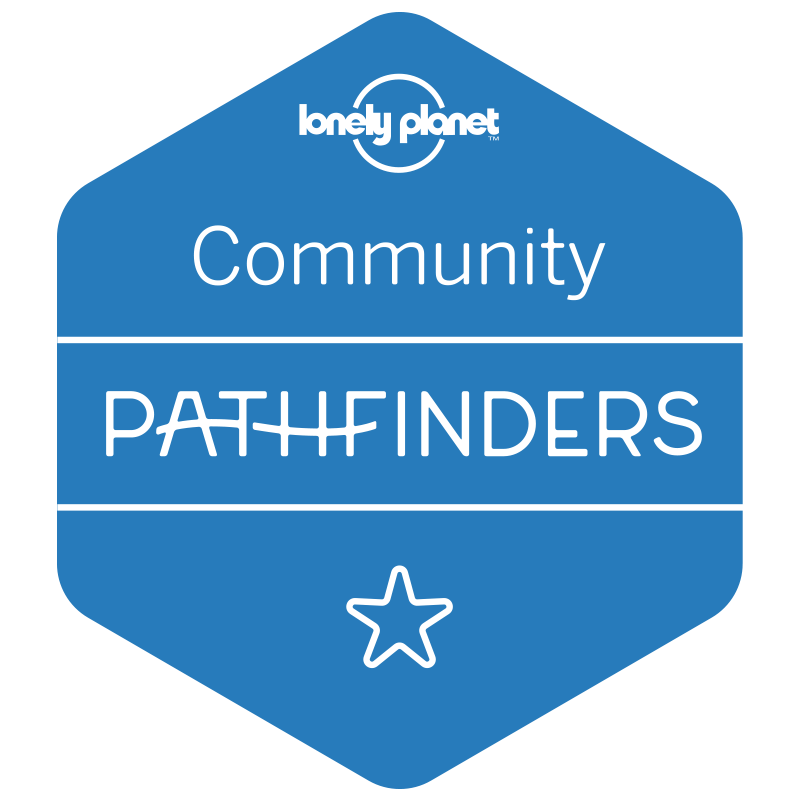 Read reviews on TripAdvisor or check current prices at Hotels Combined. These apartments are not flashy – they are a budget option with a fantastic view. Choose from studio, 1, 2- or 3-bedroom apartments. The property has a fitness centre and pool, free parking and a washing machine and dryer. It’s only a 2-minute, 100-metre walk to the train station. Pros: Location is the biggest pro here. Cons: Check the room you book has views. If you are not getting a view there are better choices. Tips: Request a lavender Bay view Choose a higher floor for views of NYE and Vivid Sydney. 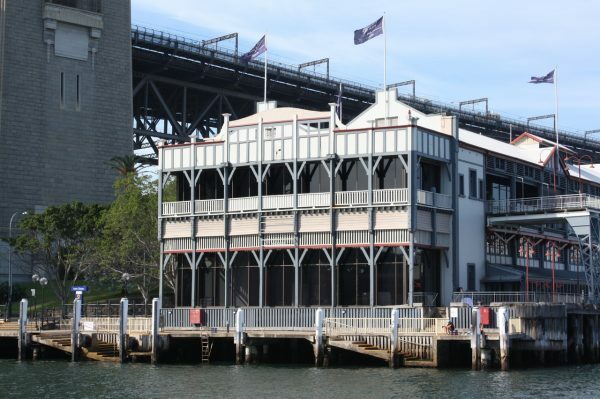 The Harbourview offers panoramic views of Sydney Harbour Bridge and Sydney Opera House. Located about the railway station can be a concern but as long as you get a room above the lowest few floors you will love the convenience and not hear the trains at all. The Harbourview usually have a great NYE rooftop party so this is something to consider if you are looking for an easy NYE option. Pros: Short walk to the harbour and station with a shopping plaza nearby.Refurbished rooms and good quality beds. Cons: dining is limited, train noise can interrupt sleep on the lower floors. Only book a high harbour view floor.